Do you need to recycle any of the following? Nothing lasts forever, and that includes your media and its packaging. What do you do when your jewel case breaks or you no longer have need for your CDs and DVDs? Whether you have decided to consolidate your packaging or need a place to dispose of old compact discs, you’ll face the same problem: where do you do with them? Don’t just throw them away. Discs and cases do not decompose in landfills, clogging up the environment and posing future problems for us. You can do one of three things, instead: reuse, donate, or recycle. Don’t overlook the usefulness of cases and packaging. If you don’t want to use them to house your discs anymore, they can be used to store other items in a compact, structured way. You could keep note cards, stamps, photos, and so on. 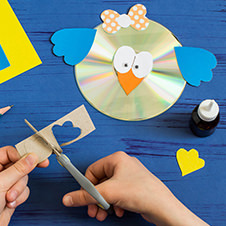 There are hundreds of bright ideas on how to repurpose DVD and jewel cases online, everything from pencil cases, board games, photo frames, and first aid kits. They are excellent sources for crafts. There’s no reason to waste perfectly good plastic, which was created for durability and long lasting structure. 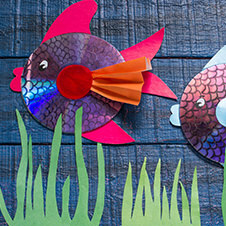 Discs can be broken down to create breathtakingly beautiful pieces of art, coasters, wind chimes, disco balls, and more. Even if you can’t reuse the cases, someone else can. Consider donating them to your local school or library. Libraries often stock movies, games, and music for patrons to use and could use spare cases and packaging in the likelihood of damage to an existing one. 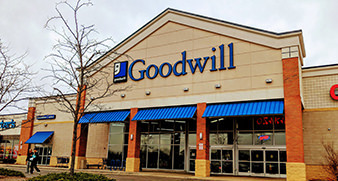 Your neighborhood Goodwill is also a great place to donate unwanted packaging. Even if they don’t have any media that lacks packaging from previous donations, they can sell them cheaply and save you the hassle. Disc packaging isn’t often worth selling yourself because you’re not going to make any meaningful cash from them. Donating isn’t such a good idea for the actual discs themselves as they are often not writable anymore and fewer businesses are utilizing them. 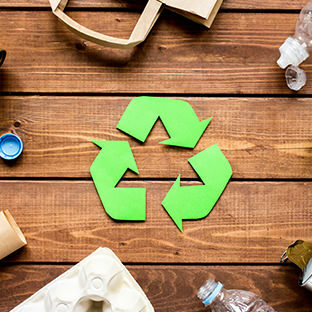 Unfortunately, discs and accompanying packaging usually cannot be recycled normally using your usual curbside recycling that you use on a daily basis through your city. Many city programs do not accept them. Check with your city to see; certain plastics can be recycled in certain places, depending on numerous factors like volume. However, you can still do the right thing for the environment by recycling them through a recycling service or center. To locate where to recycle your unwanted discs and packaging, check out www.earth911.com, the CD Recycling Center of America, or contact your city’s recycling department. Best Buy also has an electronics recycling program that sometimes accepts jewel cases. Keep in mind that each country will have different regulations on recyclables. Whether you’re in the UK or in America, you should check with your local government’s policies on recycling media.